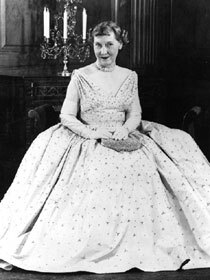 Mamie Eisenhower wore a pink peau de soie gown embroidered with more than 2,000 rhinestones to the 1953 inaugural balls. The dress was designed by Nettie Rosenstein. 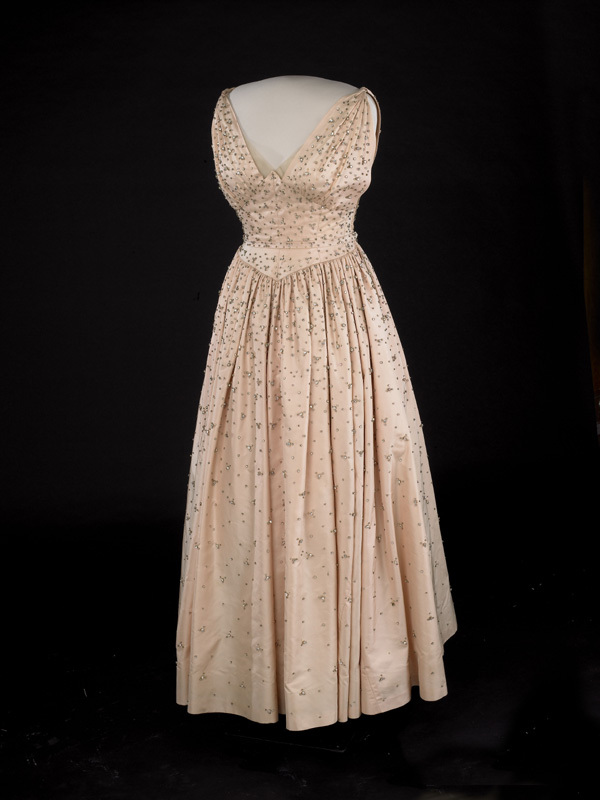 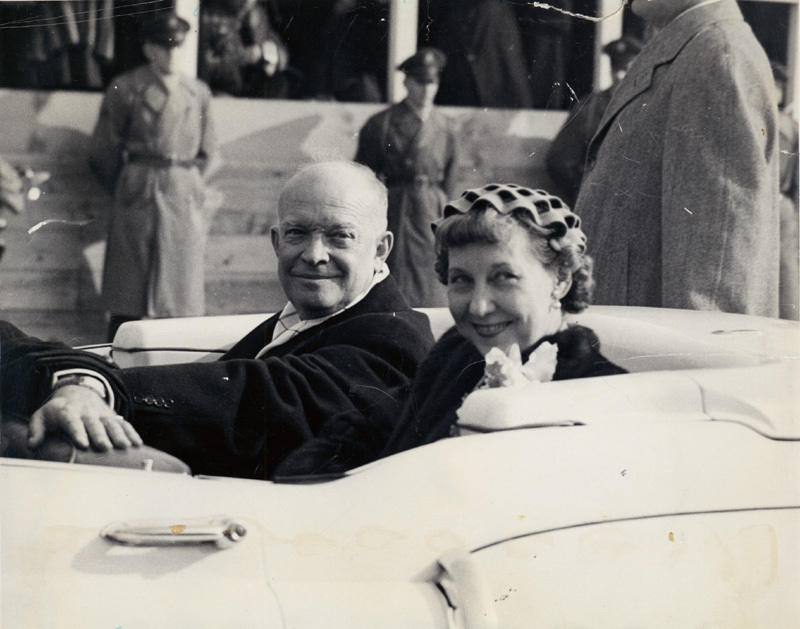 Despite urgings to release details of the dress, Mrs. Eisenhower waited until the week before inauguration to reveal descriptions of her sparkling pink gown, along with formal photographs, for the newspapers. 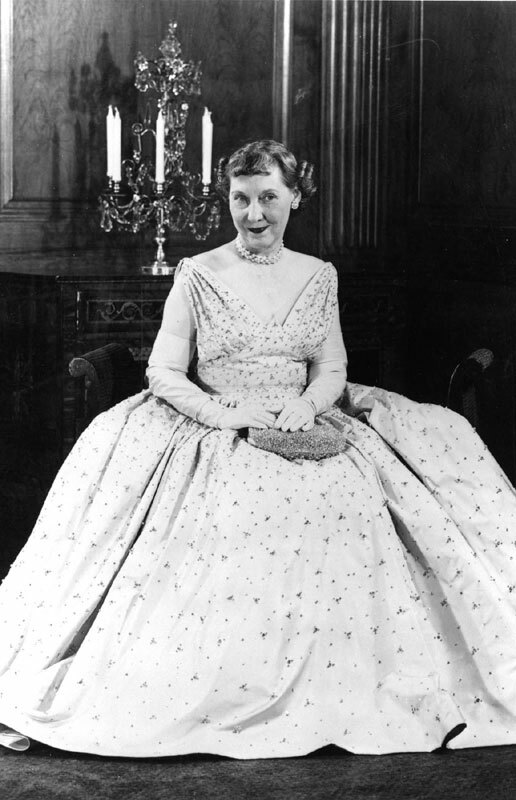 Mamie Eisenhower wore gloves that matched her gown, and rhinestone-and-pearl earrings, necklace, and bracelet by Trifari. 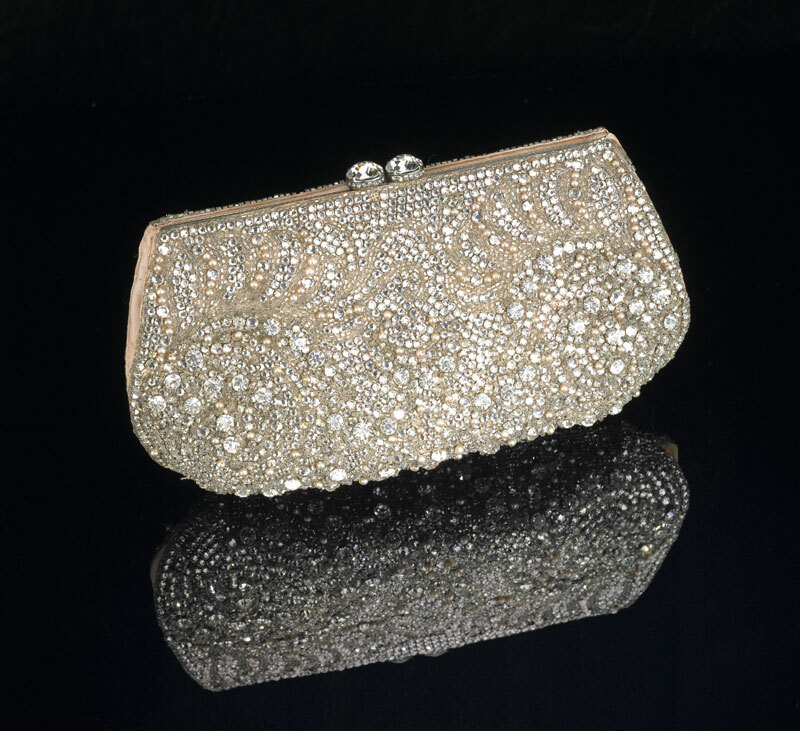 She carried a purse beaded by Judith Leiber (then an employee of Nettie Rosenstein). 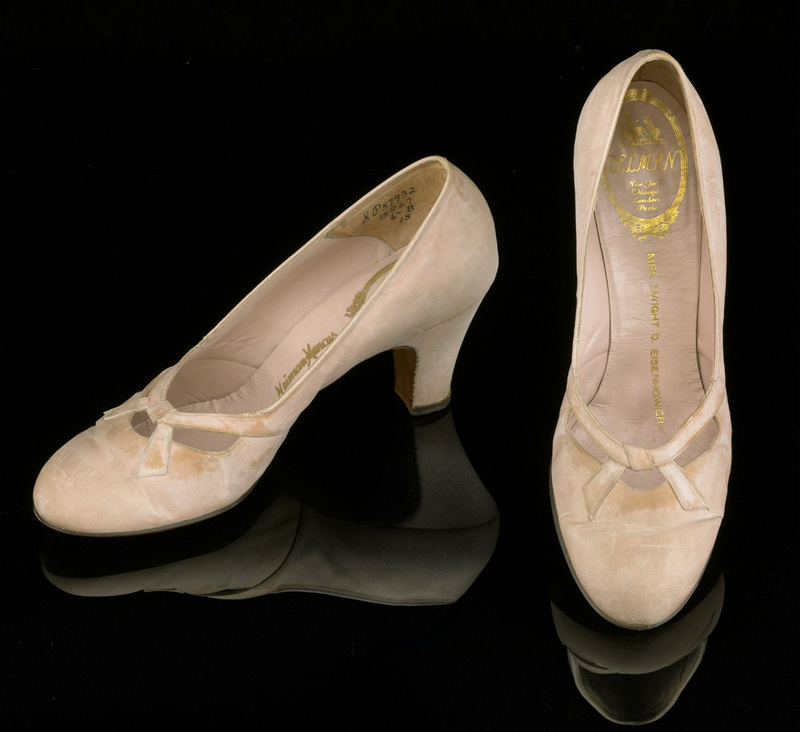 Her shoes by Delman had her name printed on the left instep.